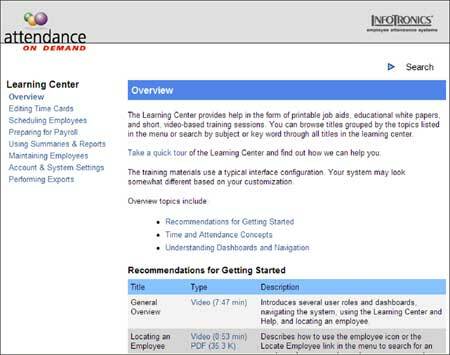 System users can easily find answers to their questions about our time and attendance system with our online Learning Center. 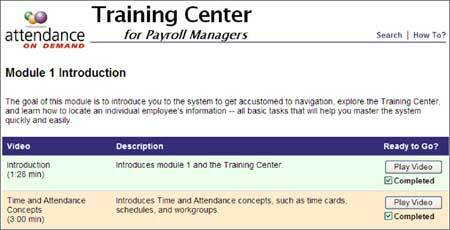 Each user type has a customized Learning Center that includes only the most pertinent information. Any answer is just a search away. 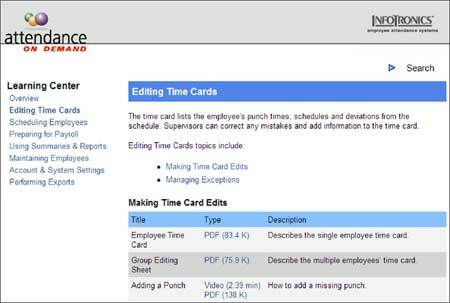 Short, task-based videos and job aids are sorted into categories to allow easy browsing. A description lets you know more about each topic. 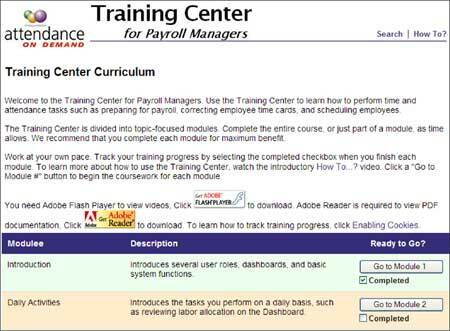 Online Learning Centers are available on demand at any time. Information is grouped into meaningful categories. Multimedia instructional materials are available, alsong with description and file size. You can demand more from our time and attendance system… like on-demand training that speeds the learning curve and improves user adoption. 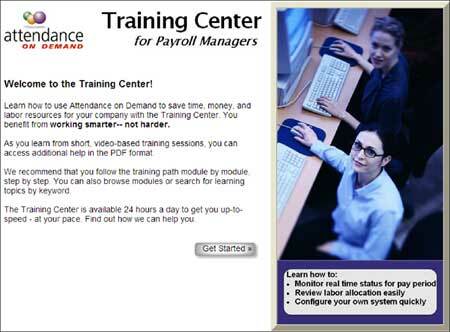 Our online Training Center guides users through the system with engaging, video-based training that can be stopped and started at any time. 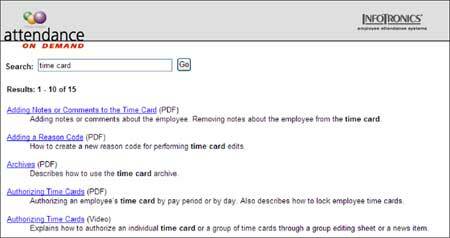 Employee progress is tracked, so employees can always start up where they left off. Users watch videos, read short documents, and take interactive self tests to learn more about Attendance on Demand’s capabilities at their own pace. 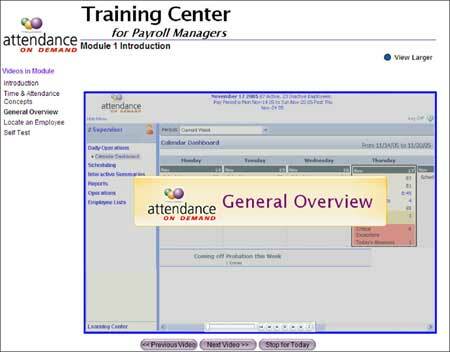 What’s more, as new staff is hired, the online Training Center is always available and up-to-date from every part of Attendance on Demand.